Lily is well-versed in the litigation of complex appellate and district court cases in venues nationwide. She draws on her many years of experience at the US Department of Justice (DOJ) in Washington, DC, to provide her clients with high-level, thoughtful counsel. Through her work as a trial attorney in the Environmental Defense Section—where she litigated a variety of cases across the country under the federal pollution statutes, including CERCLA actions and wetlands enforcement—she has in-depth knowledge of the decision-making processes at the DOJ, Environmental Protection Agency and other federal agencies. 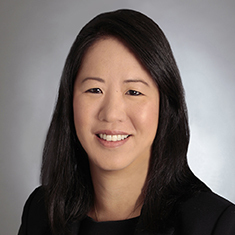 As a former prosecutor in the DOJ's Computer Crimes and Intellectual Property Section and one of the founding co-chairs of the DOJ's Environment Division's E-Discovery Working Group, Lily also is able to provide technologically savvy counsel to her clients on the preservation, collection, production and use of electronic information. This experience, coupled with the relationships Lily developed during her tenure at the DOJ, provides a virtually unparalleled background as she advises clients facing enforcement actions. For example, Lily has obtained both declinations and dismissal of charges on behalf of her corporate clients. Recently, following a five-year joint investigation by the DOJ, the Environmental Protection Agency, the Federal Energy Regulatory Commission, and a State Attorney General's Office, she obtained a declination for her client of all federal criminal and civil charges, and negotiated a favorable civil resolution with the state. In another matter involving a United States Attorney's Office and the Department of the Interior, her legal team filed a pretrial motion resulting in the dismissal of all felony counts against her client, marking the first time a court has held that criminal charges against independent contractors are outside the scope of the Outer Continental Shelf Lands Act. Shown below is a selection of Lily’s engagements. Representation of a leading independent provider of services to the global power generation industry before the Federal Energy Regulatory Commission in connection with an investigation involving allegations of market manipulation and fraud in the sale of power to an independent system operator responsible for the operation of a region's electrical power system. Defense of various military agencies at trial against a $300 million citizen suit claim under RCRA and contribution claim under CERCLA. Miami-Dade County, Florida v. United States, 345 F.Supp.2d. 1319 (S.D. Fla. 2004). Defense of multiple RCRA citizen suit claims involving contaminated properties against a number of federal agencies through summary judgment motions or settlements, involving sites with soil and groundwater contamination. Representation of an oil and gas company under investigation for violations of state and federal statutes related to impacts on migratory birds. Defense of a national chemical manufacturer in a six-month toxic tort jury trial and a three-week cost recovery bench trial involving groundwater contamination resulting in a defense victory. Representation of farmers in California's Central Valley seeking just compensation from the United States as part of class action takings claim. Prosecution of Clean Water Act violations in California and Florida on behalf of the United States. Representation of a national solid waste company in a successful challenge of a Solano County ordinance that illegally restricted the flow of solid waste in violation of the US and California Constitutions. Defense of corporate and individual clients facing civil and criminal investigation for a variety of environmental and natural resource issues. Defense of federal agencies and corporate clients facing Clean Water Act enforcement actions by citizen groups.